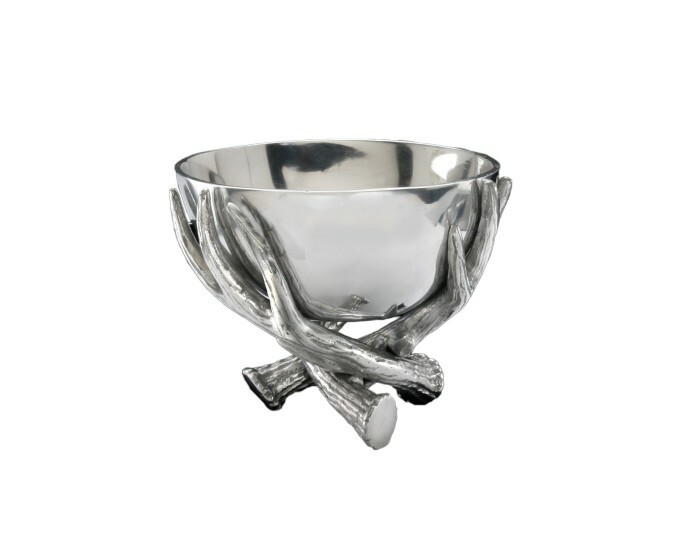 Arthur Court, Antler Bowl 5.5"
Nielsens Gifts Home Shopping Cart Page > Arthur Court > Antler Collection > Arthur Court - Antler Bowl 5.5"
Arthur Court - Antler Bowl 5.5"
Raise the level of your serveware with this beautifully designed 5.5" Antler Bowl from Arthur Court. Three antlers overlap on the bottom of this piece to create a unique, balanced base. Fine lines within the beam and points on the antlers create a striking contrast against the smooth finish of the handmade, aluminum bowl. Size: Diameter: 5.5" / Height: 4.75"